The hair of his body stood on end, and he was nearly choked, with excessive weeping. He would cry and say: "Alas, what will happen to me on the day when even the Heavens will split asunder. Woe to me!" Nabi SAW said to him: "Your crying has made even the Malaa’ikah weep." 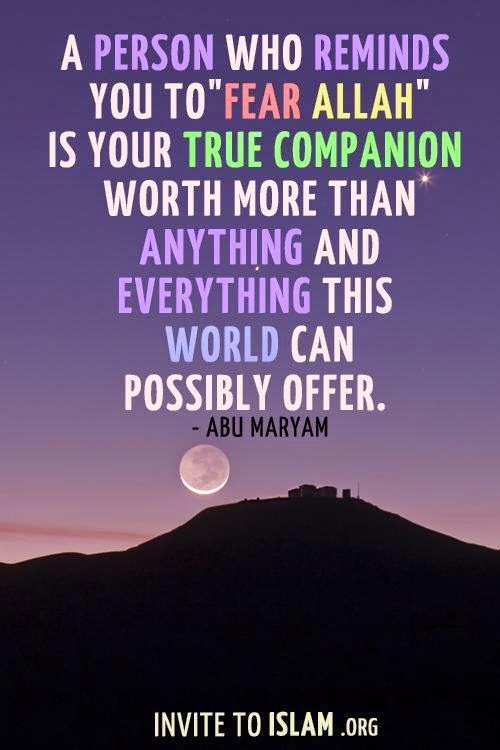 Once an Ansaari Sahabi sat and wept after Tahajjud, saying: "I cry to Allah for protection from the fire of Jahannum". 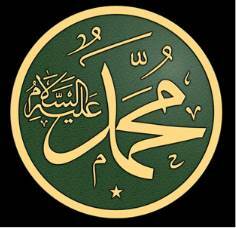 Nabi SAW said to him: "You have made the Malaa’ikah weep today". Hadhrat Abdullah bin Rawahah was once weeping. His wife also began to weep on seeing him in this condition. He enquired of her: "Why are you weeping?" She replied: "Whatever makes you weep makes me weep too". He said: "The idea that I have to cross the bridge of Siraat across Jahannum makes me weep. I don't know whether I shall be able to cross over or fall into Jahannum’. TO ALLAH ONLY WE FEAR. He gave out a cry, shivered and breathed his last. There are many stories of this type. Fudhail (Rahmatullah alaih), a famous Sheikh, says: "Fear of Allah leads to everything that is good". Shibli (Rahmatullah alaih), another Sheikh of high position, says: "Whenever I have felt Allah's fear in me, I have found a fresh door of knowledge and wisdom opened for me". 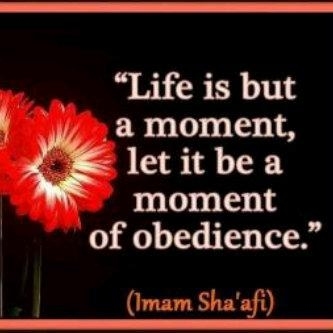 In a Hadith, it is said: "Allah says; ' I do not impose two fears on my slave. If he does not fear me in this world, I shall give him fear in the next, and if he fears me in this world I shall save him from all fears in the Hereafter". Nabi b says: "All things fear a person who fears Allah , while everything is a source of fear to him who fears somebody other than Allah ." Yahya bin Ma'az (Rahmatullah alaih) says: "If a man fears Jahannum as much as he is afraid of poverty then he may enter into Jannat." Abu Sulaiman Daaraani (Rahmatullah alaih) says: "There is nothing but ruin for a heart that is devoid of fear of Allah ." Nabi SAW says: "The face that gets wet with the smallest drop of tear from the fear of Allah is safe from entrance into the fire of Jahannum." He also said: "When a Muslim shivers with the fear of Allah, his sins fall away from him like the falling leaves of a tree." Nabi SAW has said: "A person weeping with the fear of Allah cannot go to Jahannum until milk goes back into the udders, (which is an impossibility)." Hadhrat Uqbah bin Amir once inquired of Nabi b: "What is the way to salvation (i.e. 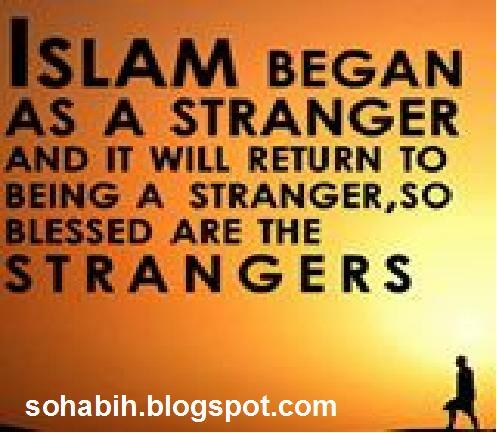 becoming saved from the fire of Jahannam)?" He replied: "Guard your tongue, stay indoors and cry over your sins." Hadhrat A'ishah (Radhiyallaho anha) once asked Nabi SAW: "Is there anybody among your followers who will go to Jannat without reckoning?" 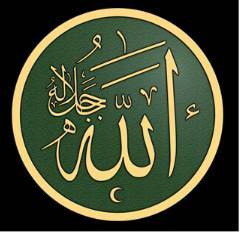 "Yes," replied Nabi SAW, "The person who often cries over his sins." There is another Hadith, in which my dear Master, Hadhrat Muhammad SAW has said: "No drop is more dear to Allah than two drops; a drop of tear shed in the fear of Allah, and a drop of blood shed in the path of Allah ." It is said in a Hadith that seven persons would be under the shade of the Arsh on the day of Qiyaamah. One of them would be the person who remembered Allah when he was all alone, and tears flowed from his eyes with the fear of Allah and in repentance for his sins. Hadhrat Abu Bakr RA says: "One who can weep should do so, and one who cannot should make the appearance of a weeping person." Fear Allah and Others Fear You. 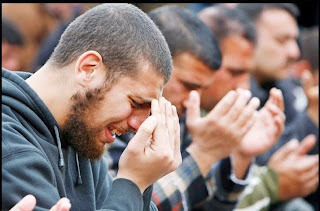 It is reported of Muhammad bin Munkadir (Rahmatullah alaih) that, when he wept, he smeared his tears over his face and beard saying: "I have heard that the fire of Jahannum does not touch the place touched by these tears." Thabit Bunaani RA was suffering from a disease of the eyes. His doctor said to him: "Your eyes would be all right, provided you do not weep in future." He replied: "What is the good of an eye if it cannot shed tears." Yazid bin Maisarah RA says: 'There can be seven reasons for weeping viz., extreme joy, insanity, extreme pain, horror, fraud, intoxication and fear of Allah . A single tear shed in the fear of Allah (is sufficient to quench oceans of fire (of Jahannum)." Hadhrat Ka'ab Ahbar says: "By Him who holds my life in His (hands), I love to weep for fear of Allah , with tears flowing down my cheeks, rather than spend a mountain of gold in charity." There are numerous other sayings of the Auyliyaa and other pious people, indicating that weeping because of the fear of Allah , and over one's sins, is very effective and beneficial in attaining spiritual elevation. However, we should not lose hope in Allah . His Mercy is all-embracing. Hadhrat 'Umar says: "If it be announced on the Day of Qiyaamah that all except one individual shall go to Jahannum, my expectation of the Mercy of Allah would make me hope that I may be that chosen one. Again, if it be announced on that day that all except one individual shall go to Jannat, then my sins would make me fear that I may be that one." It is therefore necessary that we should combine fear and hope together in our hearts. Especially when the time of death is approaching, we should have more hope than fear. Nabi b says: "None of you should die, except with a strong hope in the Mercy of Allah ." When Imaam Ahmad bin Hanbal t approached his end, he sent for his son and asked him to read to him the Ahaadith that induce hope in Allah and His Mercy.